Practice hearts make perfect surgery. 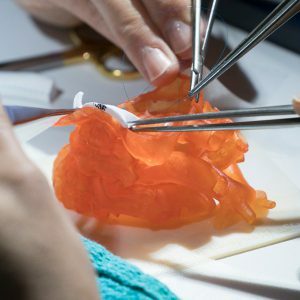 The applications for 3D-printing in pediatric cardiac treatment are numerous, and the printing of flexible models to train surgeons on particularly complex cardiac anomalies has always been a high priority for us. With the help of several surgeons, 3D-printing experts and Form Labs, we have been working to develop a set of complex heart defect models, at a low price point that makes single use realistic.